Do I need a passport to cross the border to Mexico? Many people forget to bring their passports when crossing the border to Mexico for dental work. Make sure to check before you start driving. This article outlines the travel documents you need when crossing the border to Mexico for dentistry. The short answer is yes. Beginning June 2009, the passport entry requirement took into effect when crossing the border from Mexico to US. Here are common questions and answers about the Mexico travel passport requirement. What are the requirements for travel TO Mexico from US? There’s a big difference between crossing the border from Mexico to USA and crossing the border from USA to Mexico. If you are crossing the border by land for Mexico dental services, you just walk across without the need to present your passport to Mexican customs. You don’t need to present your valid passport going to Mexico unless you are travelling more than 12-18 miles from the US-Mexico border into Mexico. Most Mexico border dental clinics are within walking distance or less than 10 miles from the border. Of course, if you are flying into Mexico to other dental tourist destinations, you need a passport just like any international travel. There are also no visa requirements for Americans and Canadians to go to Mexico. If you are a green card holder, bring your green card together with your valid passport when you go to Mexico. What are the travel requirements when crossing the border from Mexico to US? Passport Book: Can be used for both travel by land and air to Mexico and other international destinations. Passport Card: Can only be used for travel by land or sea in Mexico. Enhanced Driver’s License (EDL): Just like a passport card, EDL can only be used for travel by land or sea in Mexico. Many states are working on providing EDL to drivers. Currently, Washington State, Vermont, New York, and Michigan are offering the EDL to cross border travelers. Border States such as California, Arizona, and Texas are still in progress to offer EDL. For complete information about requirements to apply for a US passport, visit the following State Department Website. What are the application fees to get a US Passport? Passport Book: $110 application Fee, $25 processing fee, $10 Photo ID Fee (Photo fee may vary). Expedited Fee: Additional $60 application fee and $12.72 overnight delivery fee. Passport Card: $30 Application Fee, $25 processing fee, $10 Photo ID Fee (Photo fee may vary). Expedited Fee: Additional $60 application fee and $12.72 overnight delivery fee. See State Department Passport Fees for complete and updated listing of fees. Under regular processing time, it takes approximately 4-6 weeks to get a Passport Book and Passport Card. If you expedite, it takes 2-3 weeks to process both the Passport Book and Passport Card. Where can I apply for a US Passport? You can apply for a passport at the Post Office or any Passport Acceptance Facility. Call the facility first to reserve your time slot before you visit. Each facility has different waiting times to apply. To look for the closest place to apply for a passport in your area, search for the location using this page: http://iafdb.travel.state.gov/. You can also apply online for a Passport Card with the State Department. Additionally, you can try independent online services to rush your application for a United States of America Passport, such as www.rushmypassport.com. For other questions and updated info about travel requirements to cross the Mexico border, visit the state department FAQ or call your Port of Entry. Can I travel to Mexico without a passport? Can I cross the border with a driver’s license and birth certificate? Sometimes, when you need to see the dentist across the border right away for a tooth ache, waiting for your passport to arrive can seem too long. The State Department explicitly says you need a passport. Still, some Mexico dental travelers risk it with a driver’s license and a birth certificate. By law, the border agents can’t turn you away if you are a lawful American citizen or if you have valid entry into the US. It will just take longer to cross back into the US because you will undergo secondary verification. Some Passport Acceptance Facilities advice that you can present your receipt of application for a US passport and your driver’s license for entry back to the US. Our advice when crossing the border to Mexico is to plan ahead and get a Passport. This will ensure a hassle-free trip to a Mexico dentist. 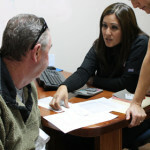 You can talk to a Dayo Professional Advisor regarding how to properly plan your dental care visit to Mexico. Call Dayo Dental to learn more about finding a highly qualified Mexico dentist for your dental work. Dayo guides you to our network of top specialists in Mexico for your major dental care.